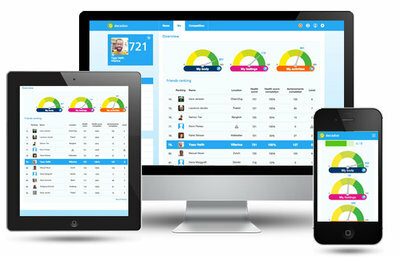 The Swiss digital and mobile health company dacadoo is nominated as finalist in the champion’s category for the European Union SME eHealth Competition 2015 and will participate at the finals during the EU eHealth Week conference in Riga in May 2015. The eHealth Competition is an initiative that rewards the best eHealth/ mHealth solutions produced by European SMEs (European Small and Medium Enterprises). Its objective is to support business success of SMEs by giving them visibility together with marketing opportunities to attract customers, partners and external capital. 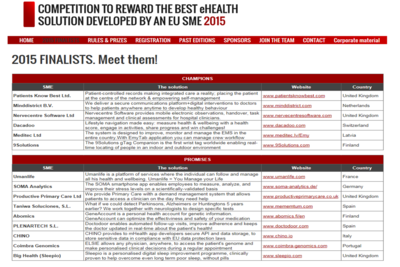 The EU SME eHealth Competition 2015 has the endorsement and the support of the European Commission. dacadoo, an innovator in digital health technology, announced today that it has been nominated as finalists in the champions category of the European Union SME eHealth Award 2015 competition. 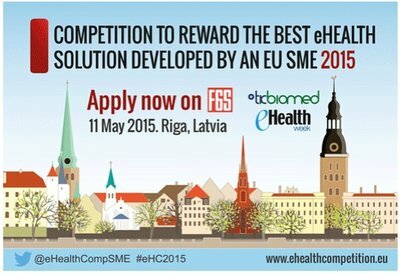 dacadoo is the only finalist from Switzerland and the company is honored to compete with five other nominated companies in the finals that will be organized as a satellite event of the EU eHealth Week Conference in Riga (Latvia) on May 11th, 2015, one of the most important eHealth events in Europe. "This is a great recognition for dacadoo and we’re very honored to be selected as finalist among a large number of great companies” commented Peter Ohnemus, Founder and CEO of dacadoo proudly.